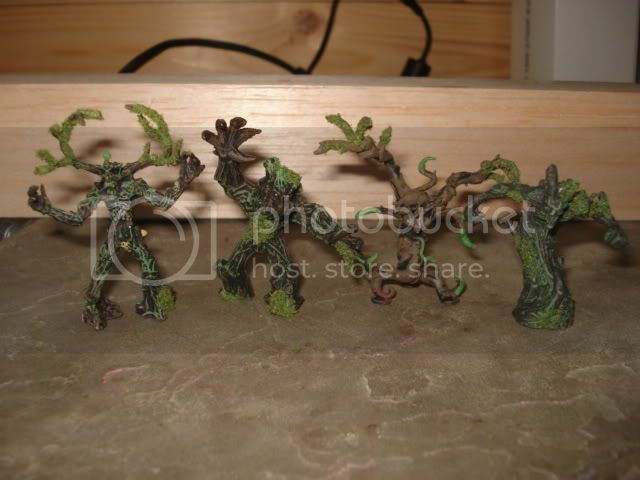 These are the plastic figures that I recently painted and flocked for use in my army until I can afford some GW treekin figures. I think that they turned out pretty well though, and I'd like to customize them with some green stuff sometime soon. I have alot of these figures, that I can paint up and flock or sell/trade primed. 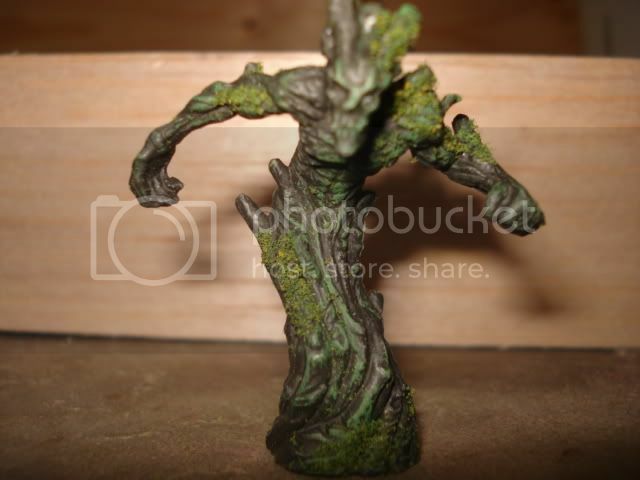 If you are interested in trading for or buying some of my treekin figures, let me know. really like the second and forth models (dont like the one with horns and the one with the tentacles). Where are they from? And how much would you be asking for them? Also, could you put them on 40mm bases and do some size comparisiom pictures? Yeah, I personally like the 2nd and 4th figures more than the other two, they look solid and powerful. 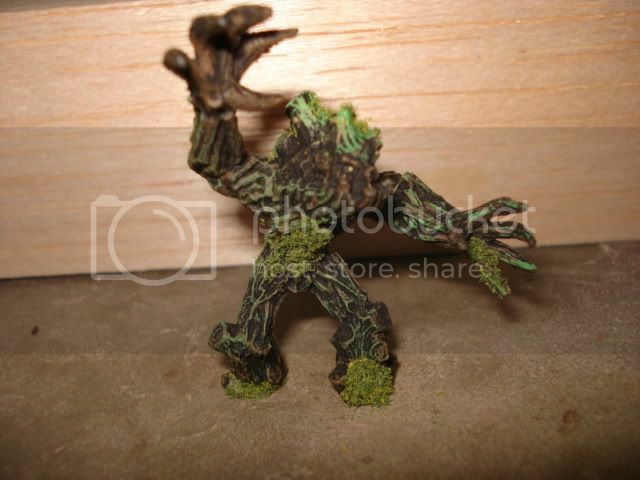 As far as size goes, I know that they are smaller than a GW treekin figure, but I can do a mock up for you, I'll post pictures later. I recieved the figures through a trade with a friend, but I'm not sure where he bought the figures, ebay I think. I was asking $3 per figure painted and flocked or $2 per figure primed, although I could make a deal for larger numbers of figures. I like 2 and 4 the best also. I didn't have a 40mm base laying around so I took a picture of the figure on a 25mm base, next to an empire cannon crew member for comparison. 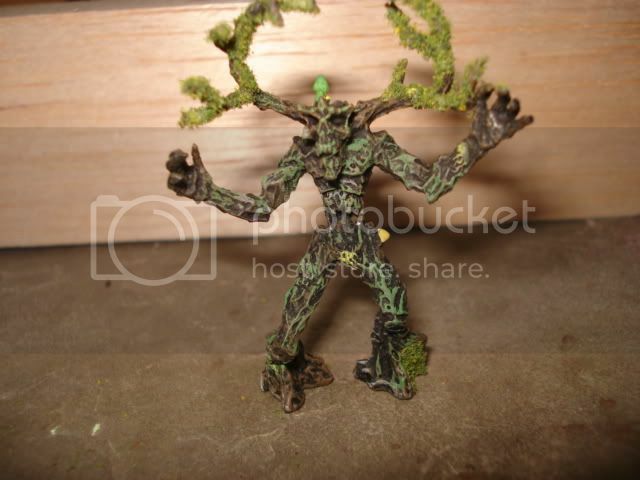 These figures aren't as big as a GW treekin, but atleast for me, they work ok. 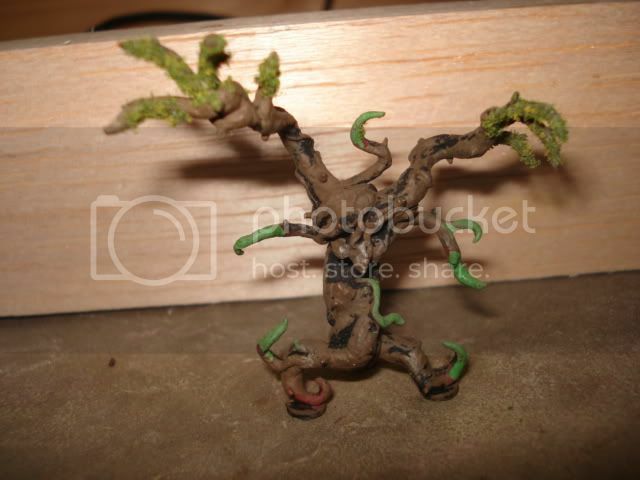 I suppose you could add green stuff, or mount them on a raised base in increase their height. They look quite good. If you got 40mm bases then you probably would not need to replace them with GW's models. And now... perfected. My Fighting Uruk-hai!